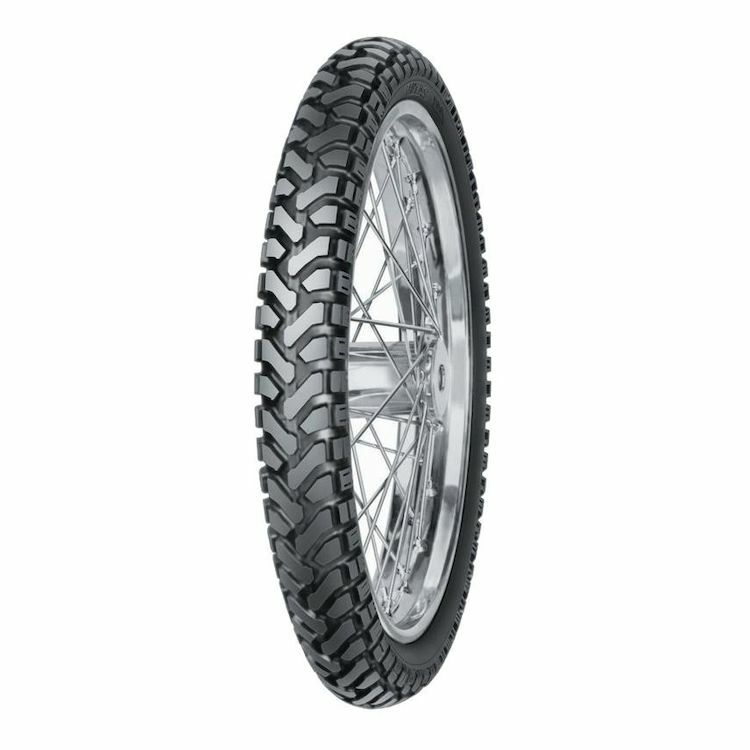 I'm on a Super Tenere ES and I really like these tires. As good a 50/50 tire I've ridden. Works for me. I bought my 2017 Yamaha Super Ten almost a year ago. Ran the stock tires up until I started hitting more gravel roads. Big difference. I just did two days on the MABDR here in Virginia. If I had the stock tires on I would have had a lot of trouble. The forest service roads were slimy clay in a lot of places and I credit the Mitas E-07 tires for keeping me upright. On the road it took a little getting used to for cornering, but as the tires broke in I gained more confidence and was able to lean the bike hard with no issues. They do have some road noise, but not as much as I was expecting. They were not deafening like my buddy has complained about his tires of another brand. I rated them high for tread life, but only have aproximately 1500 miles. They seem to be wearing pretty well so far. I replaced my TKC80 with the E07 Dakar and haven't taken it out yet, but I can attest there's a major difference between these tires. The Dakar is a 4 ply tire whereas the TKC80 is 2 ply. You'll work up a sweat mounting this tire for sure but on a big bike, such as my KTM 1290 SA-R I have a lot more confidence now with a tough tire up front riding in the rocks and cactii in AZ. Also, getting the bead to seat was a challenge requiring multiple airing attempts up to 60 psi time before the bead seated (with a loud bang!). I'll update this rating when I get some time on and off road. I bought these tires for my 14 dl 1000. I had tried a few different brands before I tried these tires. I admit these day I right 90% asphalt. My riding preference is the national forest roads all over the area. In my opinion these tires grip very well on any surface except mud. From high speed on the highway to the forest roads, and jeep trails with 9000 miles on the current set. I'm pleased. I am buying another set. I felt compelled to write a review of these for my Tiger 800XCx brethren. For perspective I put a set of these on about 700 miles ago so have some decent time on them now. In short the front tire on the Tiger is terrifying on rain stripped (grooved) roads. I’ve run a number of different pressures ranging from 30-36 up front and have my suspension dialed in well and this tire creeps all over the place. Literally requiring me to drop down to the 50-60’s on the freeway in the Bay Area for fear of a tank slapping induced disaster. My riding partners can see the movement from behind it’s so pronounced. I bought these based on tons of reviews and my brother in law running these on his GS. Unfortunately the GS performance of these is much better than the Tiger. The 90/90 21 size on the Tiger compounded by the reduced weight up front make this one heck of a squirrelly tire. Offroad it’s decent, but not great. Slippery in mud and not great at holding a line. Compared to the TKC80’s this seems like a big step backward. The rear seems decent so no real complaints there. I see a lot of comments with folks running the TKC up front and E07 out back, now I know why. I hate the short life of the TKC’s but they are so far superior to the front of the Mitas it’s worth it. Be safe out there and avoid this E07 front tire kids. I added these instead of the mefo’s just to try something new. So far so good. Think they are made for the bigger bmw and like sizes bikes so should last a bit longer on the lighter klr 650. 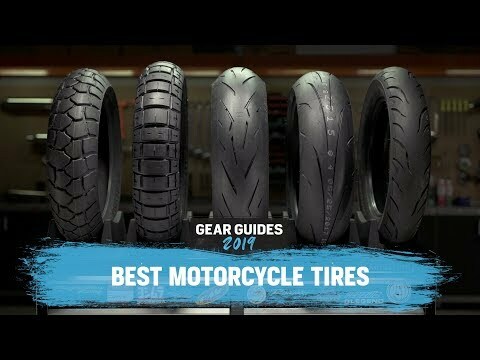 These are the best tires I have found for my Yamaha Super Tenere. I have about 30,000 miles on these tires (several sets) and they stick on pavement really well. I can drag footpegs in the rain with these tires. They are great off road for me, especially on gravel roads. I get about 5,000 miles out of a rear and about 10k miles on the front with a fully loaded bike. I tend to replace my tires well before they are completely used up however so actual lifespan on these tires may vary. I run Ceramic Balance beads in the tires and they roll perfectly. This is my go-to-tire and I highly recommend them. 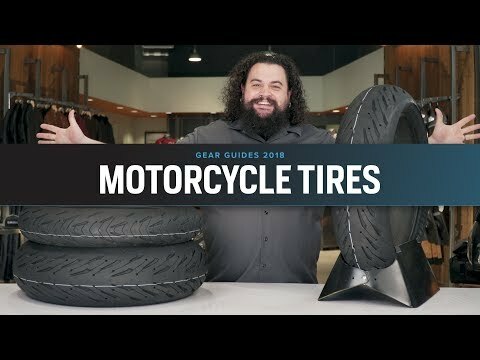 These tires are great but this review is more about my purchase of them from Revzilla. Day one, tire problem. Day two, order tires from Revzilla. Day three, tires arrive. I mean, what more can one say about a purchase. The price was slightly less than others but over and over Revzilla has impressed with instant customer service and lightning fast shipping. Well done again Revzilla, keep up the good work. As far as the tires go, comparable to the K-60 with similar longevity. Bomber side walls. Tough to spoon on because of the stiff side walls. Compound sticks well on wet pavement and gives a nice consistent feel in cornering. My personal opinion is that the rear looks better than others but that of course is subjective. P.S. These tires were not the problem tire mentioned above. I went from MICHELIN ANAKEE 3 tires to the Mitas Dakar. They have transformed the bike, and I love them so far after about 250 miles. I have not had any issues with air leaking out the front tire (Spoke wheels) as mentions by another review, so I wouldn't be worried about that. I do mainly fire roads with some trails, but am not a really aggressive off-roader (anymore). The grip off-road has caused me to steer towards loose gravel areas rather than away - much more sure footed. Hard braking with ABS on slows the bike more quickly as well. I have not hit any mud yet, so not sure about grip there. I hit a bit of sand and they handled better as well. They do make a bit of noise on the road, but that is expected. The bike tends to fall into corners now, so that takes getting used to. Road traction seems to very good, and I do not have a concern leaning over as much as I am used to. So, overall, I am very happy so far, and would recommend. First of all great RZ customer service.. I ordered my first set Feb 2017 rode them 1500 miles really liked them on and off road but I remembered a review saying the front leaked everyday so I checked it sure enough it dropped 6 pounds.. I kept topping it off and checking to see if it was real and yes they were leaking around the bead with a soap test, emailed the pics to rev warranty and they sent out another front. Had it installed by a dealer, it was still leaking on bead, they sent another front, had it installed by same dealer again and had the service manager check every inch of the rim for damage, it was perfect! rear Dakar never leaked, still have it on but i ordered a Heidenou k60 Scout for front like I had for two sets... NO LEAKS! I maybe think the stiffer Dakar rim will not give enough to seat properly?? I don't know but bike owners like mine beware! they will leak!